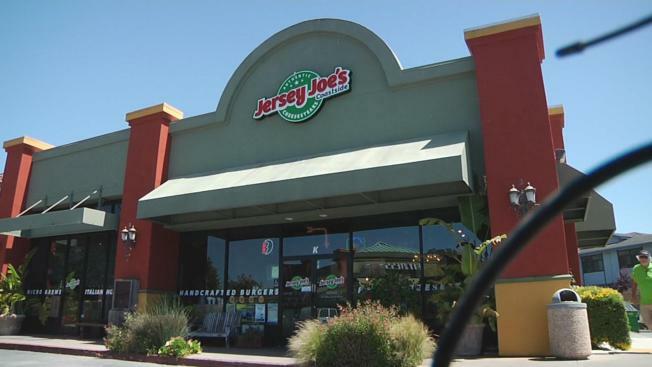 A man was arrested Saturday following a discovery of a cellphone that was allegedly recording women and children inside a restroom at Jersey Joe's Coastside in Half Moon Bay, San Mateo County sheriff's officials said. Deputies went to the restaurant at 40 Stone Pine Road at 6:15 p.m. and arrested 27-year-old Pedro Jeronimogonzalez, a part-time employee who had been working at the restaurant for about six months. "I think we're all in shock here," Jersey Joe's Coastside owner Don Godshall said. "We're just devastated." The business is known as a family place where kids go after soccer practice, according to Godshall. Police were called as soon as the discovery of the phone was made, he said. Sheriff's officials allege that the cellphone was placed in the restroom intentionally and belonged to Jeronimogonzalez. Investigators allege the cellphone captured six people, two women and four children, on video. No other details about the case are being released yet, according to the sheriff's office. Jeronimogonzalez was taken to the county jail. The allegations against him include disorderly conduct, child exploitation and wiretapping, according to the sheriff's office. Detectives are asking customers who visited Jersey Joe's Coastside on Saturday between 5:30 p.m. and 6:15 p.m. to get in touch with them. Anyone with information about the case is being asked to contact Detective Pat Carey at 650-259-2321 or pcarey@smcgov.org. Information can also be left anonymously on the sheriff's tip line at 800-547-2700.